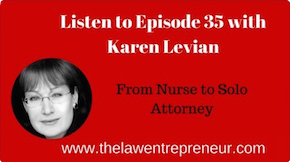 Karen Levian is a registered nurse and an attorney. Attorney Levian and her team, Levian Legal, handle ONLY Social Security disability benefit matters. The team at Levian Legal provide compassionate service as well as timely and detailed responses for every client. Levian Legal does not charge a fee for consultations related to Social Security disability cases. 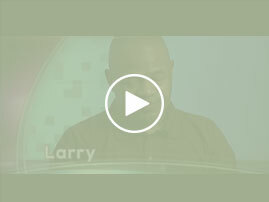 Levian Legal is committed to advocating for people who are unable to work due to severe medical and/or psychiatric conditions, and who are applying for Social Security disability benefits. Attorney Karen L. Levian has been assisting people with claims for Social Security disability benefits for over 20 years. Levian Legal is located at 920 Providence Road, Suite 307 in the suburb of Towson, which is in Baltimore County, Maryland. The team at Levian Legal assist people applying for Social Security disability benefits in the State of Maryland Delaware, District of Columbia, Pennsylvania, Virginia, and throughout the United States. Applicants for Social Security disability benefits do not have to travel to our office. Generally, we do not expect to be injured, and if we think about injury or accidents, we generally do not dwell on the possibility of being in an accident severe enough to prevent us from working. Most people do not think about becoming so severely ill they are unable to work at any job. However, statistics, and life itself, demonstrate there are a significant number of people who, due to injury and/or illness, have a condition that is so severe they are unable to work at any job. People who have a severe condition which has continued, or is expected to last at least 12 months, or result in death, may be eligible for Social Security disability benefits. In addition to having a severe medical and/or psychiatric condition, in order to be eligible for Social Security disability benefits (SSDI), a person must have paid into the system from payroll (FICA) tax for five of the last ten years, or ten of the last 20 quarters. (A financial quarter is three months, e.g., January 1 through March 31.) If you have not paid into the system, and are single, and have less than $2,000.00 in assets (or cash equivalent), or if married, less than $3,000.00, and have a severe medical condition which precludes your ability to work any job in the national economy, you may be eligible for Supplemental Security Income (SSI), a disability benefit from the Social Security Administration (SSA). Note: the SSA does not award disability benefits simply because there are no jobs available in your town. The SSA determines the number of jobs available based on jobs existing throughout the United States. Furthermore, the SSA does not award disability benefits simply because you cannot obtain a job, for example, due to a criminal record. The amount received per month if awarded SSDI varies from person to person depending on how much a person paid into the system via FICA, and for how long. When money is taken from a paycheck and contributed to the Social Security system the money is labeled under an individual’s Social Security number (SSN)/account. The wage earner who holds the SSN, or account number, is essentially purchasing an annuity. If the person if found disabled by the SSA and awarded SSDI, the annuity pays a certain amount per month depending on the size of the annuity. For example, if a person earned $150,000.00 per year, worked and paid into Social Security via FICA for 20 years, s/he may receive close to $3,000.00 per month if awarded SSDI. However, if another person earned $12,000.00 per year and paid into Social Security for eight years, s/he may receive less than $1,000 per month if awarded SSDI. In 2016 the amount per month paid for SSI was $733.00 for single individuals, and $1,100.00 for married couples. In 2017 the SSI monthly payment will be $735.00 for a single person and $1,103.00 for a married couple. Generally, Social Security disability benefits are not awarded “quickly.” If, you have a condition on the List of Compassionate Allowances, your claim is suppose to be evaluated on an expedited basis (currently within 30 days of receipt of application by the SSA). If your condition is not on the List of Compassionate Allowances you should anticipate waiting at least 20 months before you have a hearing, and at least another three months before you receive any money, if you are awarded. Unlike other forms of disability insurance, there is no “short term” Social Security disability benefit that you can start collecting quickly if you become unable to work. Nor, is there a Social Security disability benefit if you are “partially disabled.” In order to obtain Social Security disability benefits you must be found unable to do ANY job, not just your past job, but ANY job in the national economy, and the condition which renders you unable to do any job should have lasted at least 12 months. Representation by Attorney Karen Levian, The Social Security Disability Nurse-Attorney, can be described in two words: Compassion and Quality. To schedule your consultation contact (800) 701-4945 or (410) 433-4040 or complete the Contact Form on this page. The most common thing clients say when talking to Maryland Social Security disability attorney Karen Levian is, "I knew I should call you. You're a nurse and you understand my situation." Karen Levian has 20 years experience assisting people to obtain Social Security disability benefits. Levian Legal handles ONLY claims for Social Security disability benefits. Attorney Levian understands the complexities of the medical, financial, family, and legal issues you are facing. You do not pay an attorney fee if you do not obtain Social Security disability benefits. Levian Legal handles Social Security disability claims throughout the State of Maryland, Delaware, Pennsylvania, Washington, D.C., Virginia, West Virginia, and the United States.